Thank you to all the bloggers who took the time to enter the Just Jen $100 GC Blogging Contest! 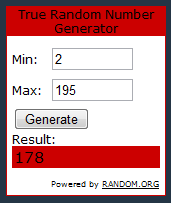 I am happy to announce that the winner is . . .
Congratulations Beeb! I will be sending you an email notification right away. Everyone can go congratulate Beeb on her win by commenting on her blog post telling her readers about Just Jen!